The professional opinions of your health care professionals caring for you. Your health records are used by staff to ensure that we offer the best possible care and treatment to our patients. Your records will only be used by staff treating you or administration staff in support of the clinical team. It can often be the case that in order to provide the best care and services to our patients we will seek the support and advice of other NHS organisations. The NHS also works with many partner agencies such as Social Services, Education, Housing and the voluntary sector. We will always discuss with you what information they are sharing and why. Please always discuss any concerns and questions with your GP, we will be happy to explain. Sometimes it may be very important for us to share information with other organisations in order for us to prevent possible harm to you or someone else. We will only share information in these situations once we have spoken with you, or where it is vital to act quickly and we are unable to speak with you. There are also a few laws that require us to share information, such as child protection cases, controlling infectious disease and for the protection of vulnerable people. All staff are trained and have regular updates about how to handle patient information. We are bound by a legal duty to keep your information confidential. Any information stored by the practice on any media is subject to very strict security controls. Regular security audits of computer systems, and procedures to collect and store data, take place to ensure that our security systems are working well. We keep information about you, your name and address, treatments, tests and consultations on both paper and computer records. This enables us to monitor the quality of care we are providing. For more information about how the NHS uses your data click here. We try our best to practise holistic, family centred medicine while following the latest guidance on good medical practice and keeping up-to-date with ongoing changes in the NHS. Sometimes, however, problems arise and we like to respond swiftly to put these right. If you are not happy with any aspect of your care, we encourage you in the first instance to mention it to the doctor or member of staff concerned so they can correct the problem. If, however, you are still unhappy then we have a formal complaints procedure, a copy of which is available at reception or can be downloaded here. Our practice manager will follow up any complaint and is always happy to receive suggestions for improvement to our service. 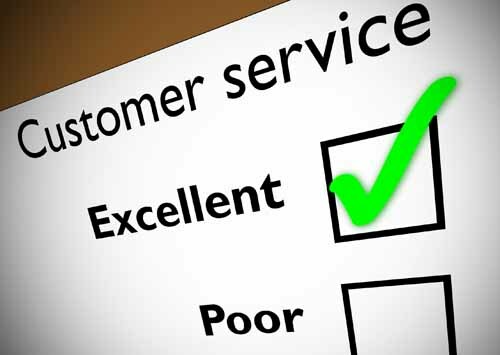 We also carry out an annual Patient Satisfaction Survey of at least 500 patients with the aim of improving our service to all patients.